Interested in those colourful balls with numbers! Yes we are speaking of Keno where you choose numbers like in a lottery. You surely wish to win at Keno. Isn’t it! 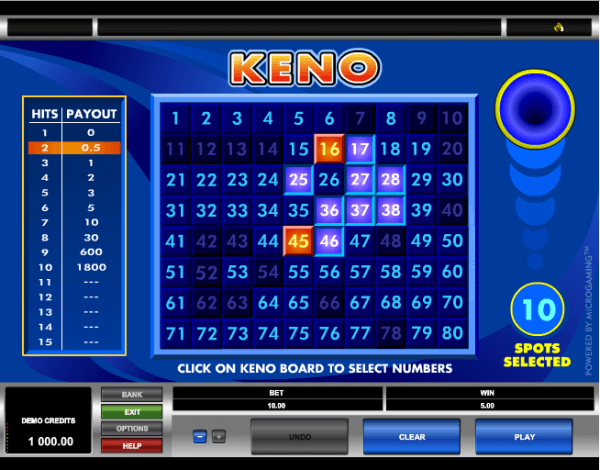 Keno is simple “a game of luck”, numbers are drawn randomly much like lottery games, where the player has its chosen numbers and hope as many as possible match those randomly drawn by the glass machine. To win at keno strategy plays a small role or almost no role at all. Let us know here how winnings at Keno are possible and the gaming experience more enjoyable. No worries at all. No one expects you to predict all 20 numbers. In fact, the odds of choosing the exact 20 winning numbers at the end of a keno game are so remote (as said above) that most casinos don’t even have a pay scale for correctly predicting all 20. Since 20 out of 80 numbers will be selected at the end of the game, you have a 1 in 4 chance of being right if you select just 1 number on your keno card. If the casinos paid fairly, you would win $4 on a $1 wager (that’s your initial bet + $3 profit). Since you’re only going to be paid $3 for winning (your initial bet + $2 profit), you can see that the longer you play keno, the more money you are likely to lose. 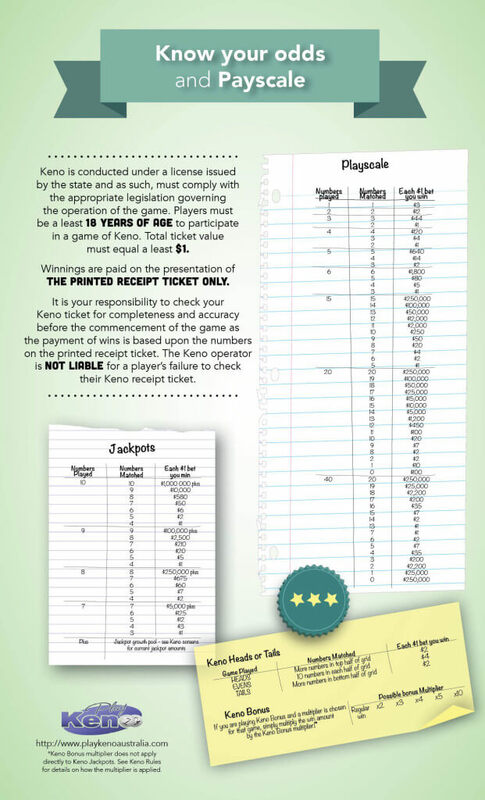 Although the pay scales in keno vary from one casino to the next, the payouts are generally determined according to a risk-reward ratio that makes some kind of a sense. If you pick just one number on your card and it is one of the 20 numbers drawn at the end of the game, then you had 1 “catch” out of 1 attempt, and you should expect something like a 3-for-1 payout. If you picked 2 numbers and they both came up (for 2 catches out of 2 selections), then you could expect something like a 12-for-1 payout. If you choose 10 numbers and catch 6 of them, you’ll win more than the one who picked 10 and only caught 5. This is why people who play keno should stay away from all the imaginations and odd variations allowed by the casinos. The only good thing about keno is that each game happens far more slowly than a hand of blackjack or a round of pokies machine play. With keno, what the house gains in edge, it loses in efficiency (where efficiency is measured in the amount of dollars per second that leave your pocket). These variations allow you to make multiple wagers at once, so a single keno card can cost as much as you want to spend on it. If you insist on playing keno, it is good to have a simple bankroll and be slow as well as stick to it. 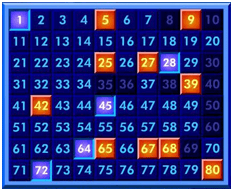 In most of the Keno games there are 80 numbers to choose from, with 20 numbers being chosen in each drawing. It is not that you have to match all 20 in order to win the jackpot; but you choose the numbers you wish to pick before each drawing. Even if you are hitting just some of the numbers that you selected is usually enough to win some consolation prize. If you pick just one or two numbers, and you need to match them in order to score a prize. If you select 15 numbers, even matching just five numbers will be enough to earn your money back, while hitting ten or more will earn a big prize even if you can’t quite make it to the massive jackpot for matching all of your numbers. You will find nowadays many new versions of Keno are available in Australia both at the land based and web based casinos. Playing Keno at online casinos has its own pleasure and are more advantageous for the player. These casinos give you a treat of a signup/welcome bonus when you make your first deposit. The sign up bonus is usually 50-200% percent your deposit amount. The online version of the Keno offers much better odds than playing at land based casinos. Keno has one of the highest house edges in a live casino. While paytables vary tremendously depending on where you play, these games usually offer somewhere between a 60% and 80% return, meaning the house has an incredible 20-40% edge. Where as the online Keno version, the house edge is only 5-10%. This makes you have a better chance of winning each time you play. Your winning also depends upon other factors like how much you are willing to bet, In most of the online casino you can bet anywhere from $1 to $10 on each draw. If you bet the maximum of $10 and select 15 numbers, hitting all 15 will pay out an incredible $100,000. But that doesn’t mean that you have to bet at high stake always. You can also play fewer numbers and still win large prizes. Like hitting ten numbers out of ten selected will earn you $1,800 on a $1 bet or $18,000 on a $10 bet, and even hitting just seven numbers out of seven is worth 100 times your bet. Even if you pick just one number, you will win $3 if your number be selected. When you play online you have control over the speed of the drawings. 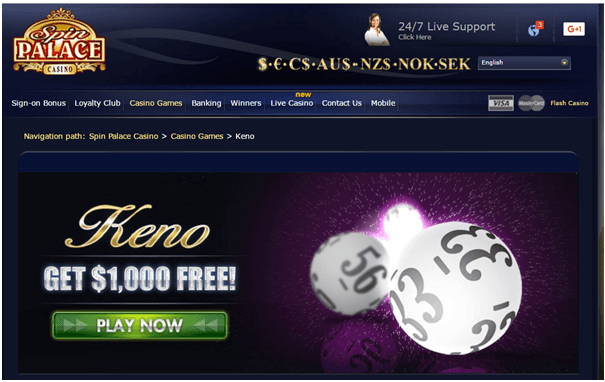 While a live keno game might only offer a drawing every five or ten minutes, online drawings take place instantaneously whenever you feel like playing. Most often online casinos are companies running offshore. When you play Keno or any other games on offshore betting websites always look out for the terms and conditions and make sure your understand everything. Again as said above it is to remember that winning at Keno is luck of chance. Therefore if you try to use a tool or know previous winning numbers is just a sheer chance that can click again. In Australia and other parts keno draws happen once every 3-4 minutes. You can get a new set of lucky number every 2 or 3 seconds, by the count. Three seconds later and you have an entirely new set of “winning numbers“. Such number generator tools are just for fun and no winning tips. Therefore the winning strategies of Keno game are not much practical. As a Keno player you to take action according to your situation at play and possible prediction of upcoming changes. The best advice we can give is to know the fundamentals of the Keno game and have enough practice so as to play this game correctly, with calm and a positive mind.